There has news around this for a while. Federal Government was trying every possible mechanism to bridge the gap between HND and Bsc. The dichotomy has been an issue beyond the resolution of several past administrations. But finally, the ministry of education under the current administration has succeeded in scraping HND programmes in the federal-owned polytechnics across the nation as a means to achieve this equation. 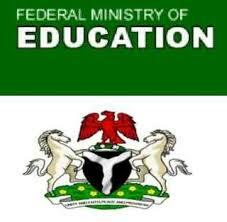 At the FEC meeting held on the Federal government has finally scrapped the 2-year Higher National Diploma course. The scrapping only affects the Federal polytechnics across the nation for now. States had been implored to follow the course (and if they prefer otherwise) or continue as they were used to run their programmes. The Ministry of Justice will do the preparation and submission of the bills to the National Assembly. 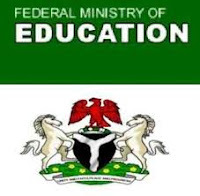 The Ministry of Education will continue to license private polytechnics and colleges of education for the award of qualification at ND and National Certificate in Education (NCE) levels. The current HND students or newly admitted will continue and complete their programmes and be awarded HND but there won’t be new intakes for Higher National Diploma. The HND certificate will remain a legal tender in Nigeria and holders of such certificates will continue to be recognized as the equivalent of first-degree holders without discriminatory remunerations and limit to progression in the workplace. The NCE certificate will be retained as the minimum teaching qualification at the basic level of education. Also, all the polytechnic programmes currently being run by polytechnics, which are not technology-based may be discontinued. To kick-start the new policy, the nation’s two most prominent polytechnics – Yaba College of Technology, Lagos and Kaduna Polytechnic – will henceforth be known as the City University of Technology, Yaba and City University of Technology, Kaduna respectively.